Every once in a while, I find myself craving something sweet and delicious for breakfast. 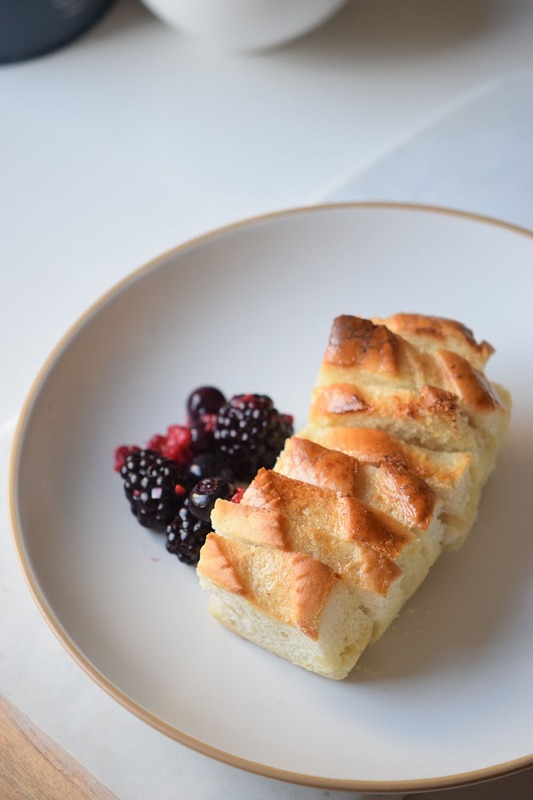 This usually happens during the weekends, when I have a bit more of time to cook something that my family loves, and during the past couple of months I found myself making this French Toast Bake every Sunday when it finally hit me that I should share it! This recipe is one of those recipes that’s a complete crowd favorite! Everyone in the house loves it, from the super picky eaters to the husband that’s not a sweet breakfast kind of person. I have also made this to gift to neighbors and it has been a success! 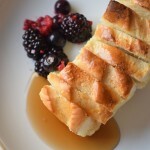 You know a recipe is going when someone knocks your door asking for it, so now this French Toast Bake is my go to dish. And it’s not only super delicious but it’s also incredibly easy to make! 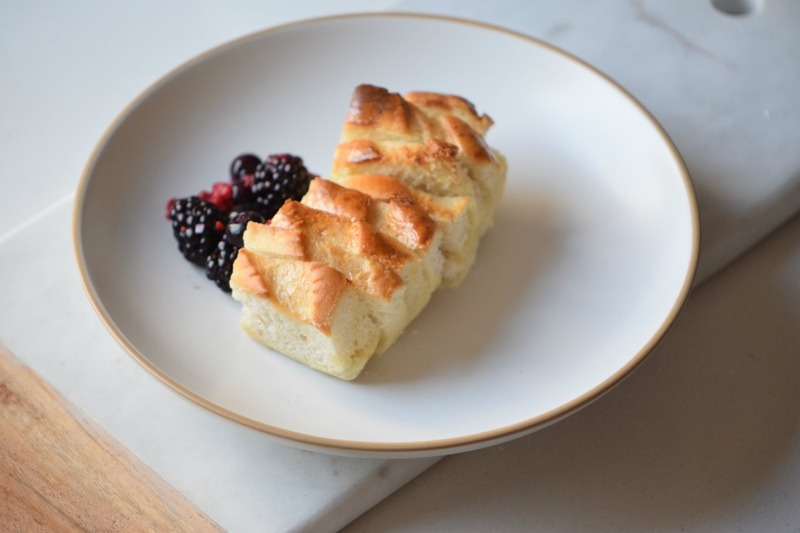 Actually, it’s one of the easiest breakfasts I’ve ever made and it looks just straight out of a magazine for foodies or from an elegant cafeteria. 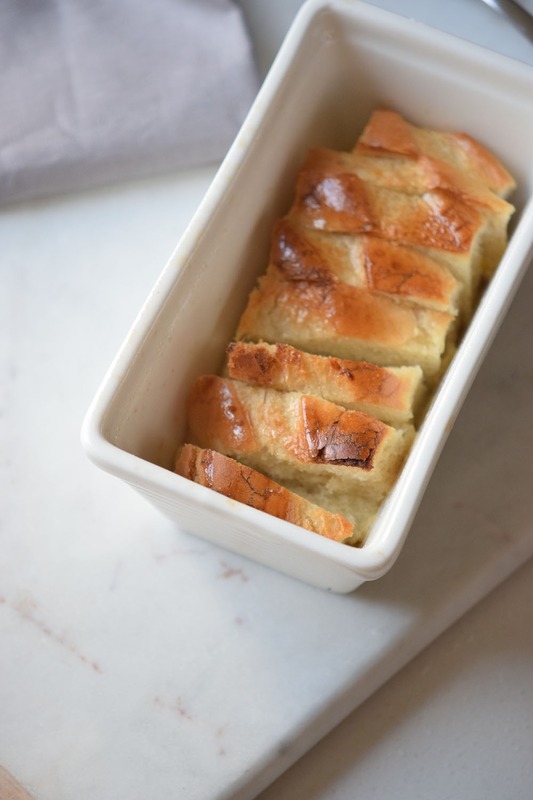 Another great thing is you can make the French Toast Bake with day-old bread, which is definitely great if you are trying to save some money or come up with creative meal solution for leftovers. I prefer to make it with crusty bread since the end result is prettier but if you only have sandwich bread go with it, the result is just as good! 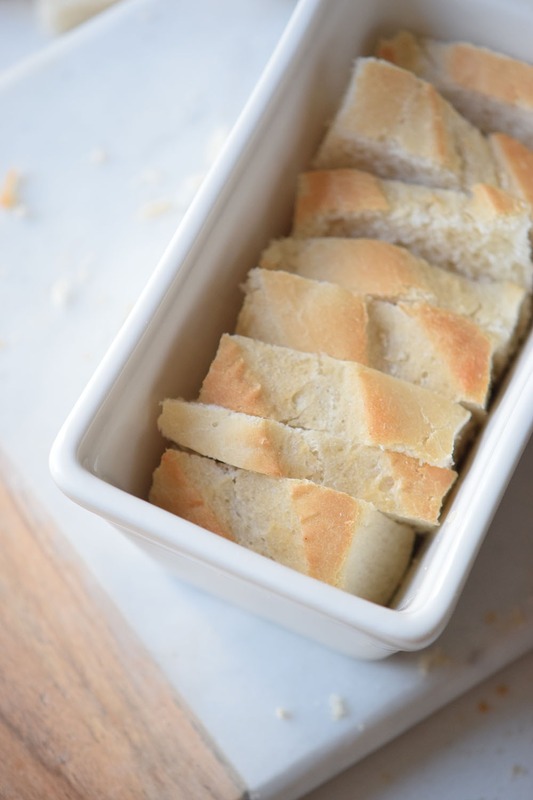 Just cut your bread, make an egg and milk mixture dip your bread, place in the baking dish and take to the oven. It’s around 10 minutes of active time and it’s something the kids love to help with. 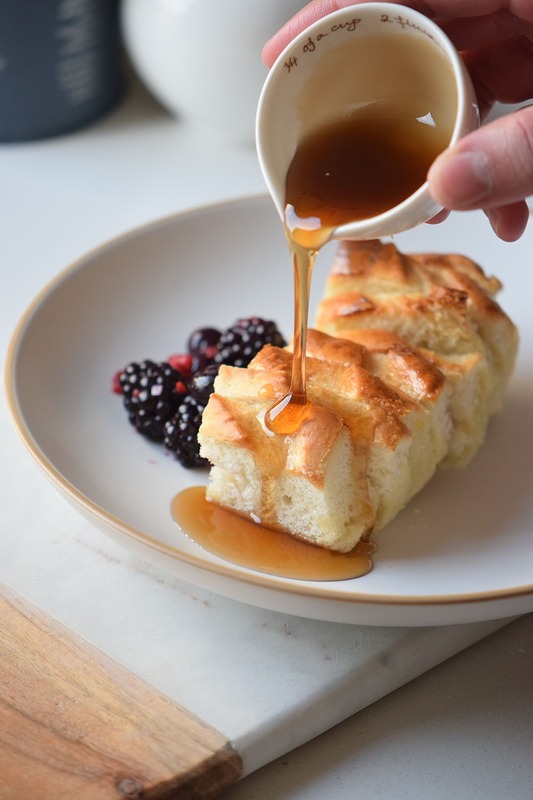 Once it’s golden brown on top I serve it in dishes with some berries and maple syrup, but you can make it with different toppings and mix and match. What’s your favorite breakfast idea? Share it in the comments! Cut the baguette into slices or around 1/5 inch thick. Set aside. In a bowl whisk the eggs, milk, cinnamon, vanilla and sugar together. Dip each bread slice into the egg mixture and place in the baking pan. Repeat the process with the rest of the bread. Take the baking dishes to the oven and bake for 20 minutes or until done. I always thought french toast was a lot of work. This is so so easy and quick, one trip to the store and i will be making it this weekend. This looks really yummy. I have trouble making french toast. Seems like the bread won’t turn into the custard that I crave. This pan idea might work perfectly. My mom made french toast for us way back when! We loved it, but this idea kind of changes thing up. Thank you. 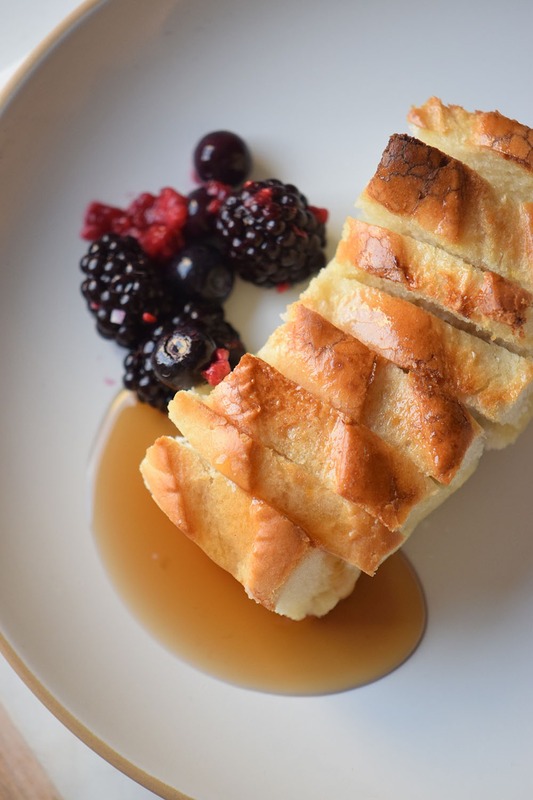 This looks like a really different and tasty way to make French Toast. My son would love it and I would enjoy making it. This looks fantastic. This is something I’d love to make for when my aunt is in town staying with me and my daughter. A girls’ breakfast! I would want to try this out. Thank you.